Snow down your pants from one too many snowball fights? Throw this spicy stew together and warm up quickly with this gorgeous and easy stew. Chorizo, halloumi and chickpeas go so well together (try them in a spinachy salad); you can add sprouting chickpeas right at the end as below; or add a tin of chickpeas a few minutes earlier. The tasty chorizo provides all the seasoning you need. We now stock free range chorizo and snack packs from our friends at The Bath Pig in the farm shop; try the spicy one for extra bite! Heat the oil in a large pan or wok, and sauté the peeled and cubed swede or sweet potato until starting to soften. Add the peeled and sliced onions, deseeded and sliced pepper, and sliced chorizo. Fry briskly until turning golden on all sides. Meanwhile grill the sliced halloumi until coloured on both sides (or fry if you’re feeling naughty). Peel and crush the garlic and add to the chorizo. add to the pan, and add the chickpeas. Mix together gently, and cook over a medium heat for five minutes, until everything is tender. Serve over mashed potato, jacket spuds, polenta or with fresh crusty bread and chopped spinach. One of the most effective ways to encourage wildlife into your garden is by introducing a pond. 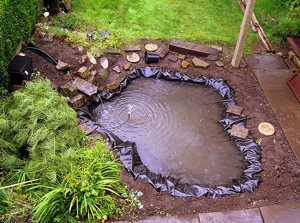 This guide will show you how to build a pond which your local wildlife will thank you for! 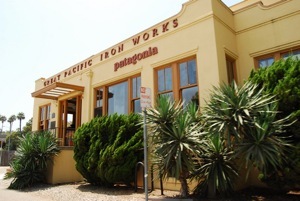 Patagonia's unique approach to revealing information on their manufacturing process is something all aspiring green businesses could take a tip from. Why use Underfloor Heating With Combi Boilers? How Long Does it Take to Warm up Underfloor Heating?